I'd been finding the wireless capability on my Billion 7401VGP-R3 was starting to degrade. Mainly that after a period of being on, it would occasionally start dropping devices and then not let any new ones connect until it was rebooted. Update to latest firmware didn't help. The modem capabilities of the Billion were good, and I wanted to keep the VOIP capability to run the home phones. So I looked at AC wireless router options, and the Asus RT-AC68U got the nod as a good quality option. There are a couple of possible ways to set up the AC68U so that it works with another modem/router like the Billion. One way is to turn off DHCP on the Asus and plug an ethernet cable into port 1 (rather than the WAN port) and likewise connect it to the Billion the same way. 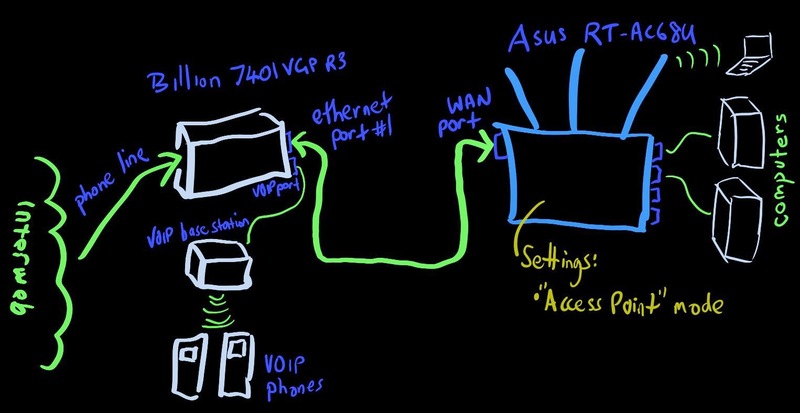 This allows the internet connection to get through, but takes up one of your ethernet ports. 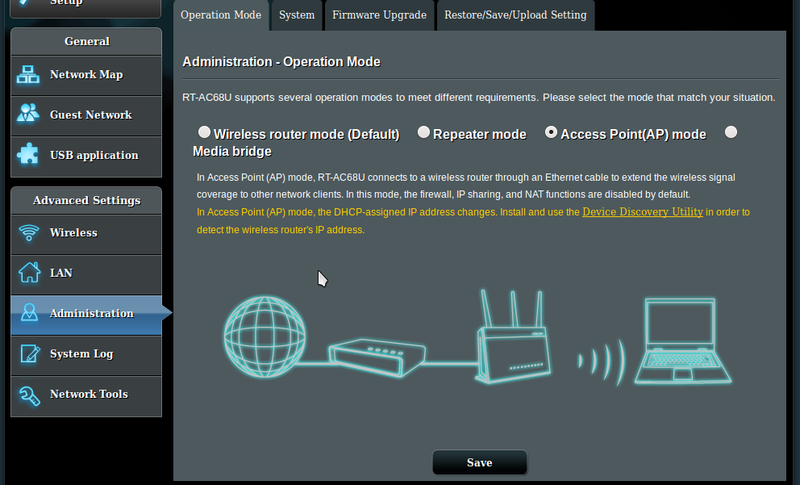 The way I ended up running it (thanks to the tip from Pete at Whirlpool) was to turn on "Access Point (AP) mode", accessible Advanced Settings -> Administration tab in the router config. So far I haven't had any issues with this setup. 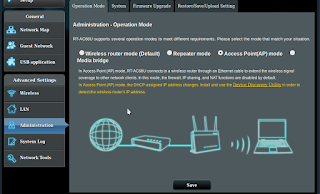 I had one issue, where the AC68U would occasionally drop one of the wireless connections and then seem to reboot. 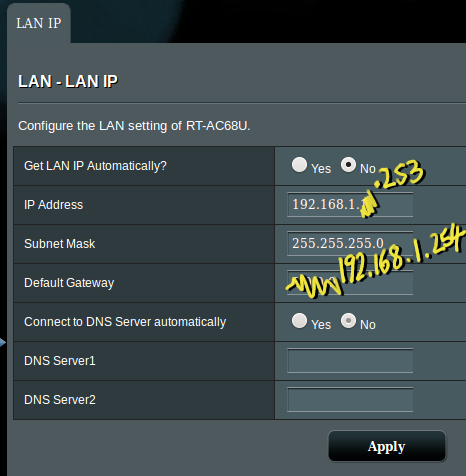 I think it was due to the Billion router allocating the same IP address to another device as the one I'd manually set on the AC68U. This was a bit silly by me, so I updated it to one well outside the Billion's DHCP range. For whatever reason it required a gateway address this time too. So far these settings have proven okay.